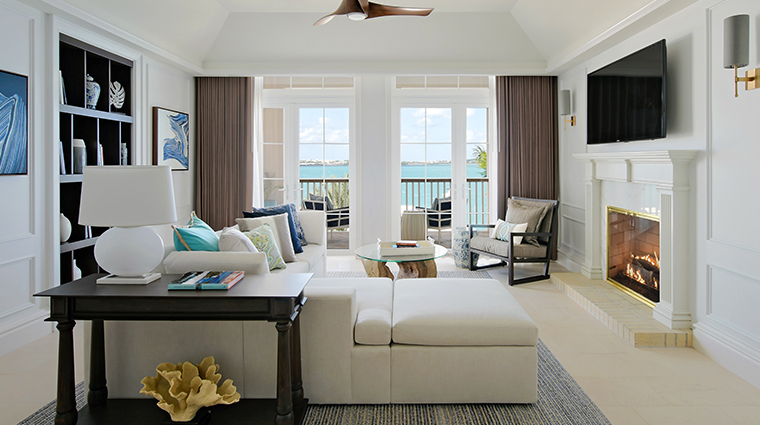 Escape to paradise with Forbes Travel Guide Four-Star Rosewood Bermuda’s Suite Sojourn offer. 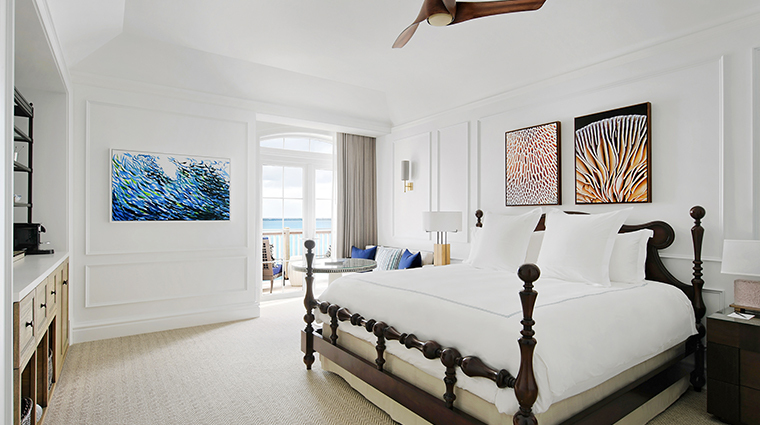 Book a newly reimagined suite or residence and get up to 50 percent off your ocean-view stay. 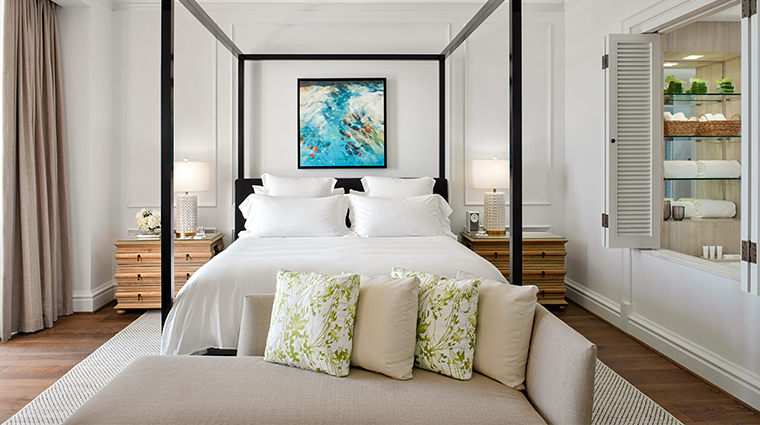 You’ll also be showered with extras (like complimentary non-motorized water sports and tennis and golf clinics) to help you enjoy the Caribbean sunshine even more. 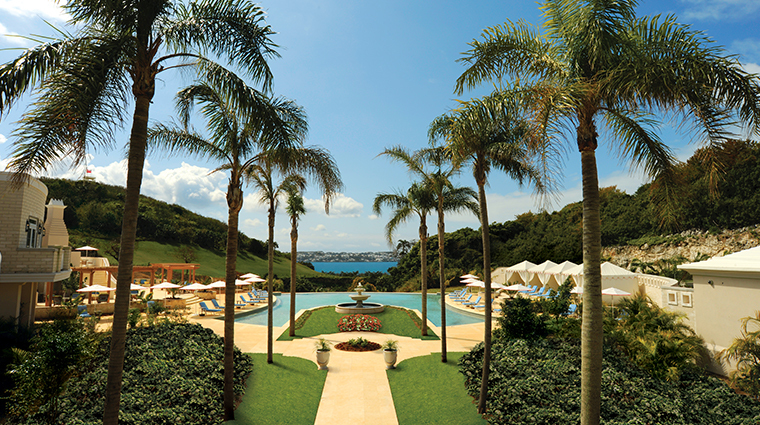 Along Bermuda’s famed pink sand beaches, the longest private stretch belongs to Rosewood Bermuda, a 200-acre waterfront resort with just 88 rooms. 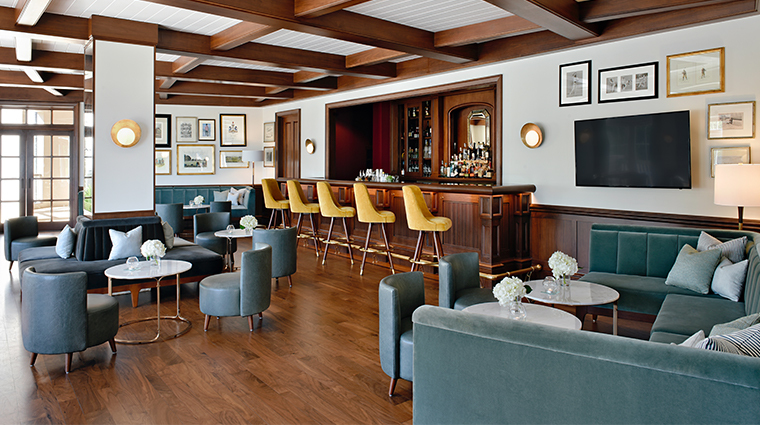 It’s barefoot luxury at its finest, from pampering treatments at the 12,000-square-foot Sense Spa to days spent on the four tennis courts or Roger Rulewich-designed golf course to afternoon Dark and Stormy cocktails on your private terrace and evenings in the 3,000-bottle wine room. The expansive Sense Spa is a highlight. 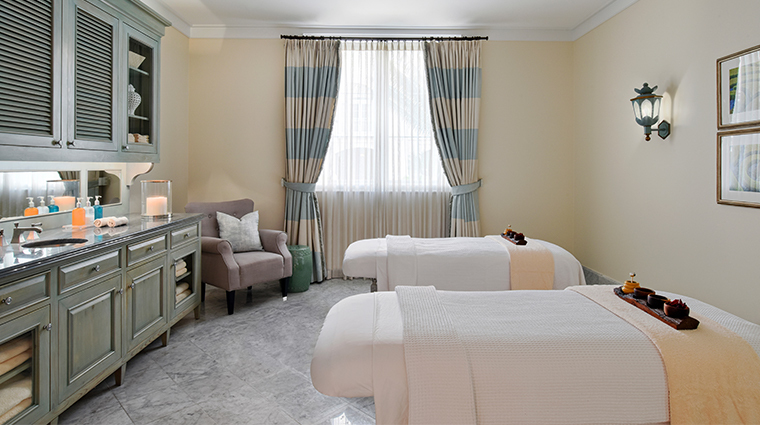 With its inspired treatments and serene setting near a private reflecting pool (perfect for sunbathing pre- or post-treatment), the spa is a stay-all-day escape. 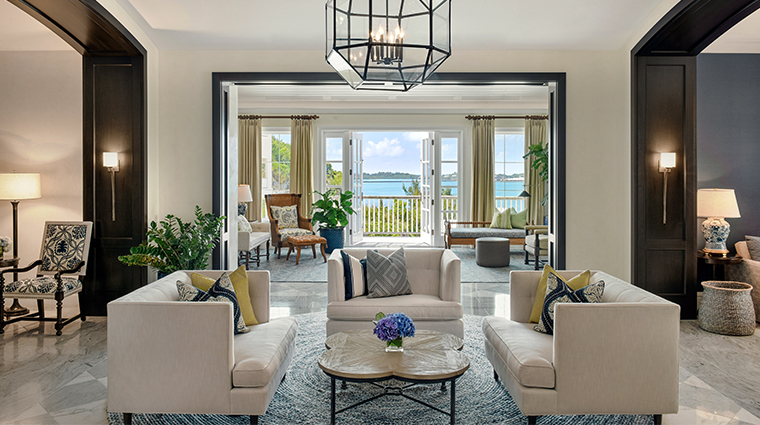 Taking cues from Rosewood’s Sense of Place program, many spa services employ local ingredients, including the Explore Bermuda, where you can pick the herbs used in your body wrap, or a pampering honey and sugar scrub using locally sourced nectar. 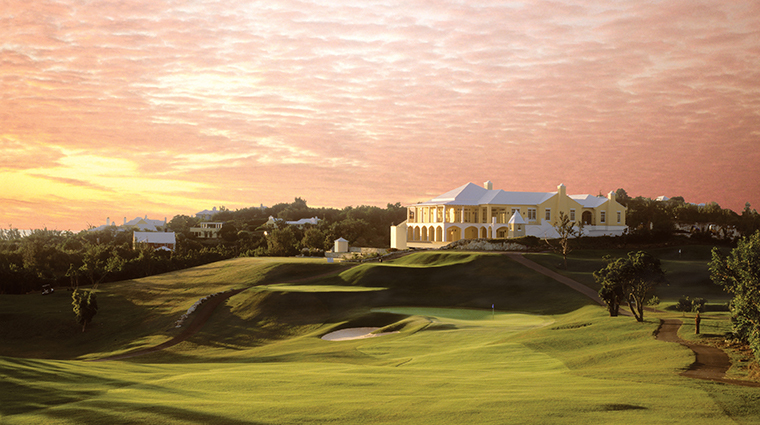 At Rosewood Bermuda, you likely will want to partake in active pursuits. 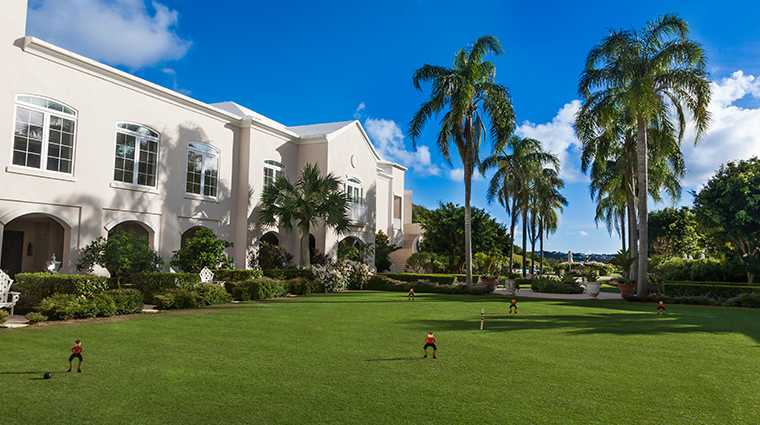 From the island’s competitive sailing culture to the resort’s many fitness-oriented activities, it’s easy to spend most of your time outdoors. 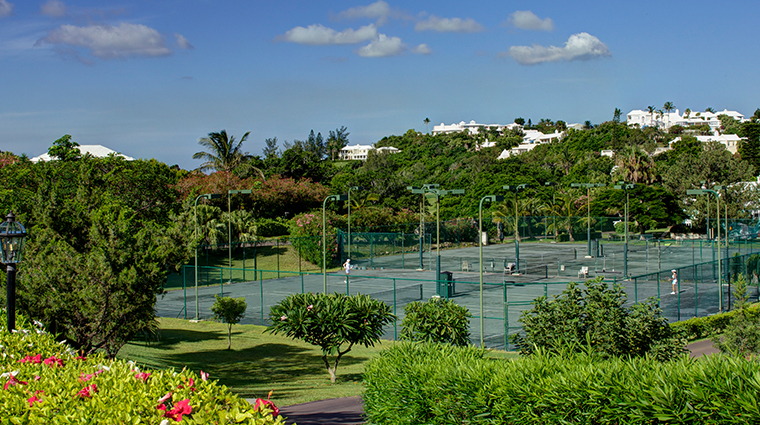 Take advantage of the 18-hole, par-70 course offering a challenging yet accessible mix of long fairways, fast greens and dramatic water views, as well as four Har-Tru clay courts. 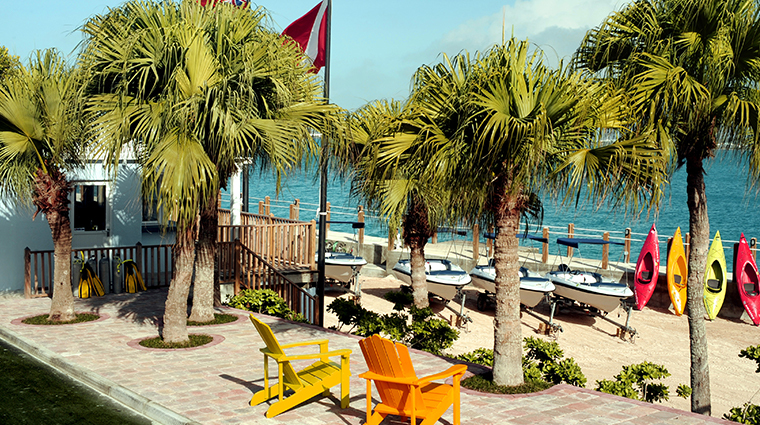 A beach club (located just a short golf cart ride from the main resort) makes relaxation easy with a full-service restaurant, beach butlers and two freshwater swimming pools. Don’t miss a spa treatment using the hotel’s signature Silver Tag shower, a $100,000- plus piece of equipment whose 18 heads work in tandem to soothe and relax tense muscles. 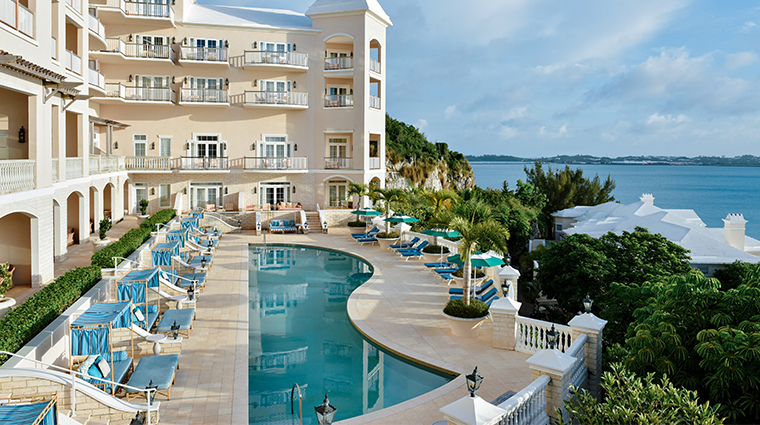 Bermuda is small — only 20.5 square miles — making it easy to get around and explore. However, be aware that tourists aren’t permitted to rent cars and that it’s a 20-minute cab ride to the town of Hamilton from the Bermuda hotel. 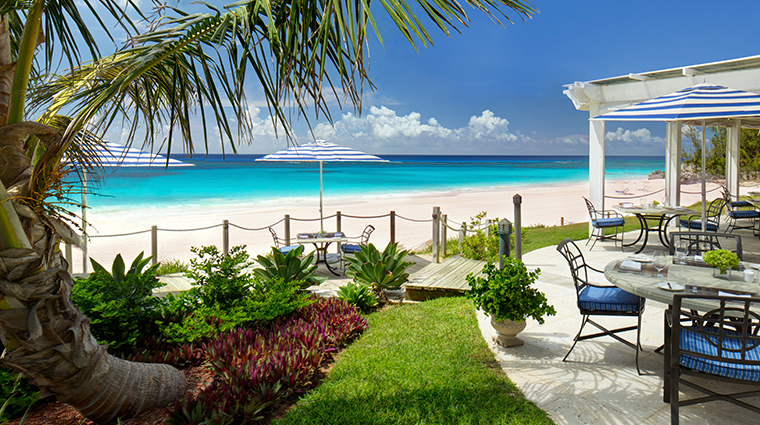 The weather in Bermuda matches that of North Carolina, so it’s not the typical level of heat that you’d experience in the nearby Caribbean. Beach facilities, for example, are open from April through October, with the best weather from late May through late September. 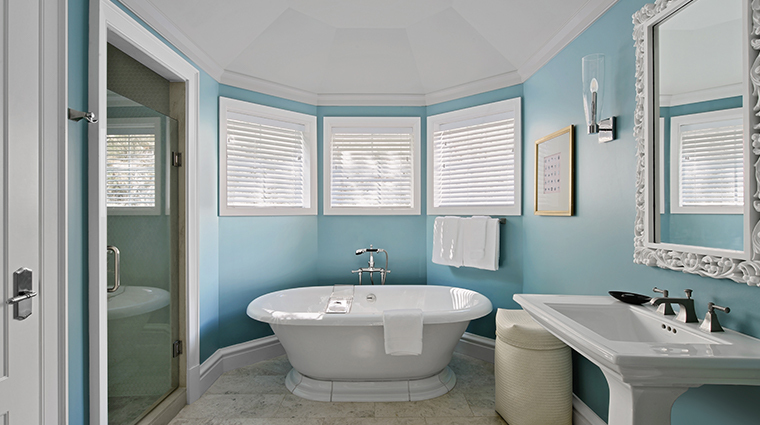 Even standard rooms are spacious (starting at 500 square feet), and all feature amenities like Rivolta Carmignani linens, deep-soaking tubs, balconies and views of the crystal-clear waters of Castle Harbour or Harrington Sound. 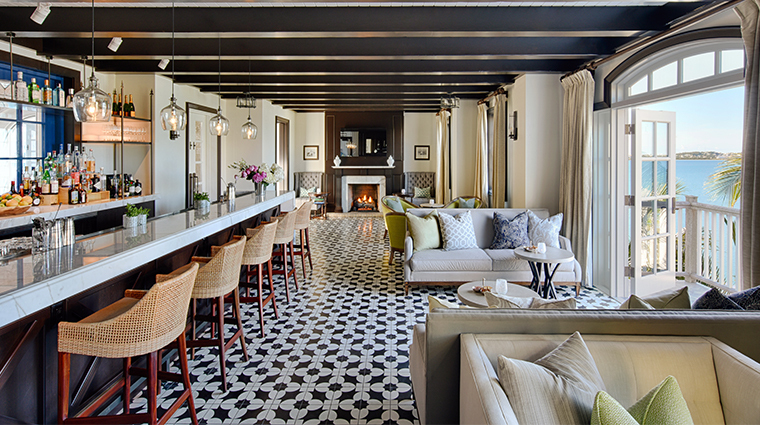 For greater privacy, opt for one of the villa suites, just a short stroll from the main Manor House proper (a word of caution: they’re down a small flight of stairs). 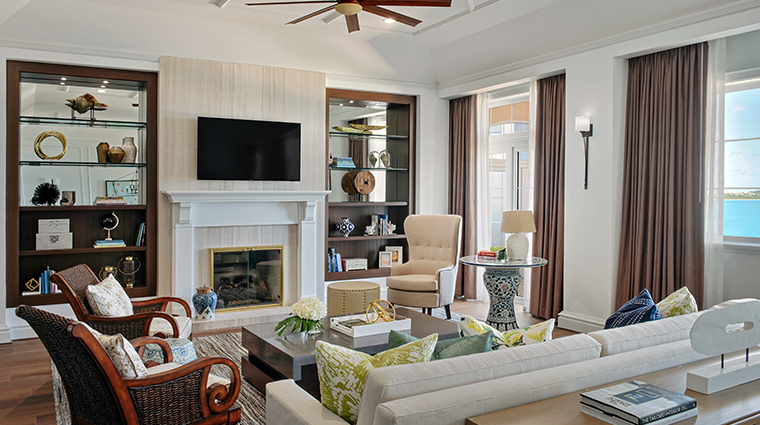 Perched directly over Castle Harbour, these larger suites offer a separate sitting area as well as use of a private golf cart. Food at the luxury hotel is a standout. 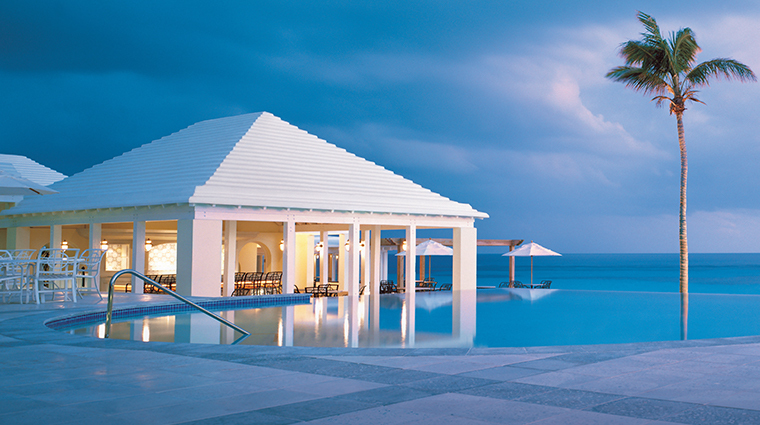 The island offers an abundance of fresh fish and vegetables, and the resort’s restaurants prepare this farm-to-table bounty with an emphasis on international flair. We love signature restaurant The Point, where you’ll find a feast for the eyes as well as the palate. 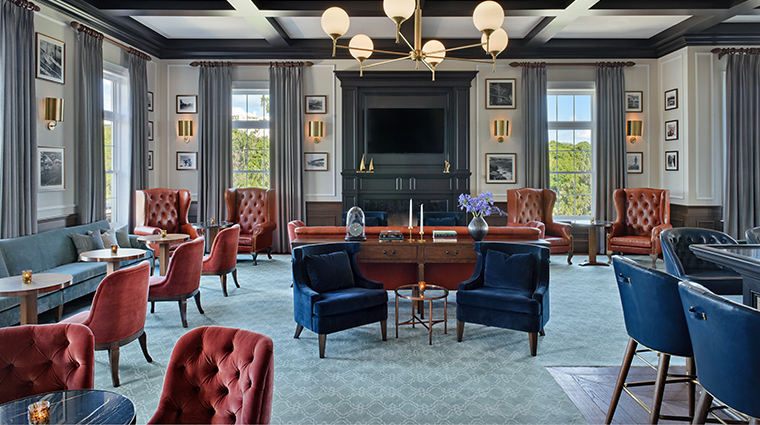 Ask to be seated near the one-of-a-kind Pan Am Sky Club mural depicting the world’s ports in the 1880s, carefully restored and relocated to the resort. 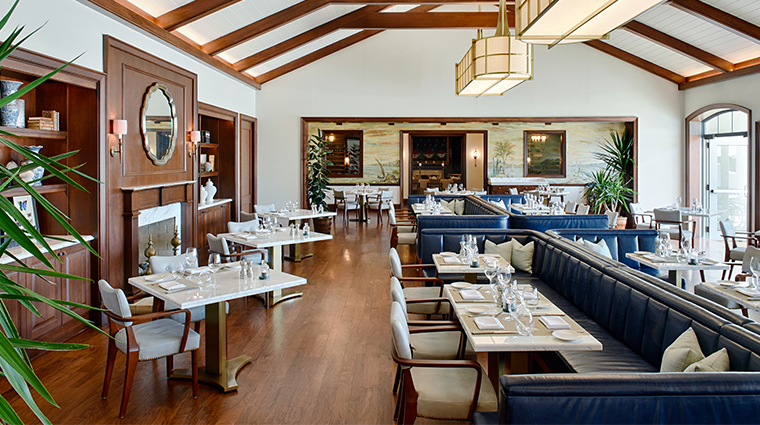 For a more intimate affair, plan a private event in The Point’s 3,000-bottle wine room. 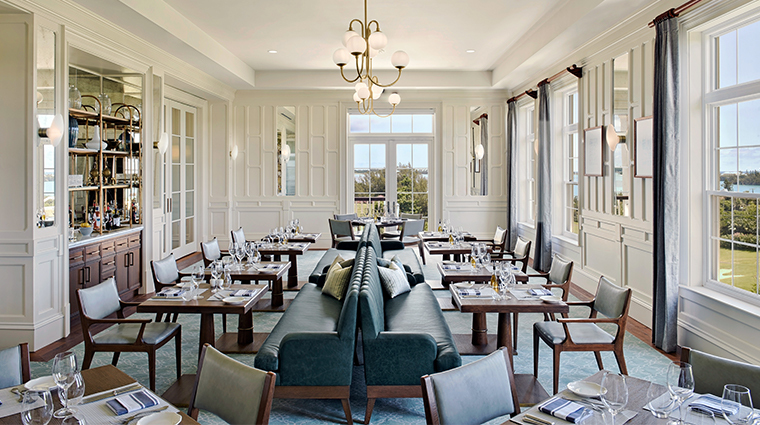 Other options include Sul Verde at the golf course, serving classic Italian dishes, as well as Sur Mer, turning out casual fare at the beach club.